Yesterday, I wrote about my latest endeavor to create a video game that uses some free software and which incorporates some element of “story” as its backdrop. My aim is to have fun and also, to consider the possibilities for the classroom. It turns out I lost my Internet access on Sunday, which gave me some space and time to sit down with paper and pencils and really think through what my game might look like and how it might be played. 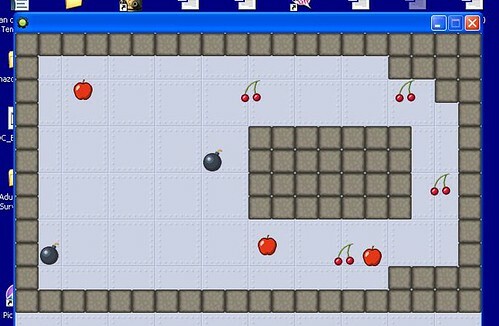 I can’t say enough about how valuable it was to be off the computer for some old fashioned “paper thinking,” and I already see some revisions and iterations of my game design beginning to formulate in my head. I’ll share more of the particulars of my game in tomorrow’s post. I spent a good chunk of time with GameMaker on my own (no tutorials, thanks to lack of Internet access) in an attempt to create a simple maze game and I floundered a bit, I must confess. I constructed a maze, but I had a lot of difficulty designating what I wanted things to do and I never did figure out how to make the click of the mouse designate a move on the board, which will be a central act for the user of my game. I am sure this is easy to do, but I could not figure it out, not for the life of me. And I am not sure if I can even create my own icons (sorry, sprites, but I have my own ideas for players and pieces in my game). I ended up just diving into the program as far as I could go, just as I imagine that many students do when they encounter a new game or a new console or a new program. I would have liked some hand-holding directions (honest, I would have) but there is something to be said to full immersion into software without a life preserver. I suspect that when I make my way back to Gamemaker (with tutorials in hand — now downloaded onto my computer directly), I will be farther along with understanding its architecture than I think am. Here is the TTT podcast from the TTT site. Thanks to Paul Allison and Susan Ettenheim for continuing to create interesting weekly discussions around topics that have value for me as a teacher. The more I use Cinchcast, the more I like it. This morning, I was writing some poems and thought I might try to podcast them. I was considering using my phone and Cinchcast, but then I remembered a red “record now” button at the site. I figured I would give it a try with my Blue Snowball microphone and it worked like a charm. And I can embed the audio, or download it. And my Cinch site is connected to Twitter. And it’s free. Next week? A month or maybe two. and then bounds off into the woods. the joyful girl with flowers on her dress. spilling out humanity on the ground. like history etched beneath our skin. After Thanksgiving break, my students will be handing in their Imaginary Peaceful Land Travel Brochures. They’ve had plenty of class time to work on the project, and there are some pretty neat lands out there. I had created my own, too, to share with them. I used Glogster and I think the future, I might have it as an option for my students, too. But I do like having them use cardstock paper for a brochure — that feels right. But with Glogster, they could add audio and video, etc. I finished What Technology Wants a few weeks ago and I am still trying to sort out all that writer Kevin Kelly postulates in this interesting book which takes a step back from technology and tries to articulate a larger understanding of the world around us and the future ahead of us. What technology wants, according to Kelly, is a symbiotic relationship of sorts, with us, in that we keep developing new ways of using technology as technology advances in order to provide us with new ways of using technology. That’s the simplified version, in my own words, and Kelly makes it clear that technology– or the technium, as he refers to the “greater, global, massively interconnected system of technology vibrating around us (p.11).” — is not alive in a living, breathing sense. But by examining trends of technological advancements, in relationship to advancements in other biological fields, Kelly argues that there is a logical and somewhat predictable pattern to technology, even though we don’t know what is coming next or how that will affect us. Like living creatures that push forward over time, the technium is also on the same course, according to Kelly. In fact, one of the hallmarks of the technium is that new devices or tools that have significant impact on our lives are hardly ever used for what they were designed for. This unknown adaptability is key to the technium. The free will of us, the people — our choices in how we use the technology is critical is what technology becomes. Kelly does not always view technology through rose-colored glasses. In fact, he profiles a number of examples of how people can and should step back from technology in their lives, if only to gain some perspective on how it shaping what we do and how we think. He uses examples such as the Amish, who resist the lure of technology for cultural reasons and yet, they are adaptable to using what suits them (as long as it is mostly “off the grid” technology).There is a whole chapter about Amish Hackers that is interesting to read, and shows how complicated the lives of the Amish can be in the modern world. And, it shows how our (my) perception of the Amish stuck in time is not even remotely accurate. Is that a bit much? Perhaps. But Kelly has always looked ahead at the bigger picture (first with Whole Earth, and then with Wired, and now with his various books) and while I sometimes found myself shaking my head at what he was writing, I was always thinking, always pondering. What Technology Wants will sure get you to step back and reflect on where technology is and where it is going, even if the path is uncertain. I’m about halfway through grading an adventure short story project, which means at this point I have read through about 40 short stories from sixth graders. I’ve been pretty impressed so far with the writing as many of the stories have improved drastically from the brainstorming sessions, the peer review activities and the rough draft stages that they went through to get to a final story they could be proud of. We focused a lot on character development, points of action to move the plot forward, conflict and resolution, and establishment of setting to inform a story. They have a rubric to guide them, and we look at examplars of adventure stories. 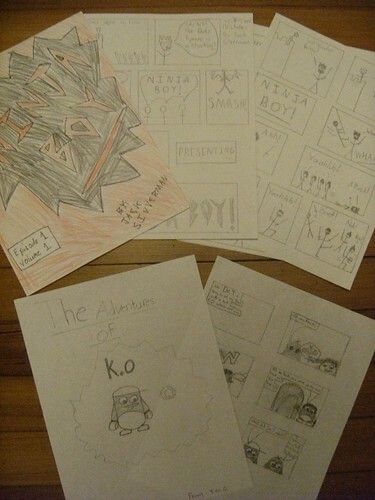 This is the first year I had students (two boys) ask if they could create a graphic story instead of a textual story. Now, I have graphic novels all over the room, and we use a webcomic site pretty regularly, and it seemed wrong for me to tell these young writers, no, graphic novels won’t be allowed for you as writers. Plus, I was interested in what they would. I did warn them, though, that the same rubric and standards should guide them as well as everyone else. I wanted them to know a simple comic strip would not hold muster for this project. One student was more successful at the creation of an adventure graphic story than the other was, but I was impressed with both. Even the weaker of the stories showed character development in ways that might not have happened in a short story (this student is a struggling writer) and the graphic story opportunity gave him another way to write. It was clear that he used a character that he had already “developed” and was probably using in stories written at home, on his own. I wanted to validate that kind of writing in the classroom, too. Some students get the idea of a “kicker” or twist at the end of a short story. This requires real critical thinking skills, and not all sixth graders are there yet. One story — The Homework Machine — is about a group of kids trying to steal this Homework Machine, only to find out at the very end that it GIVES homework, not DOES homework. That was a nice Twilight Zone twist. Technology has crept into many of the stories. One story is all about a brainiac young kid nicknamed Intel, who uses his ability to fix things and make things for this spy story. There are some vivid descriptions of cool tech toys, like a version of James Bond for kids. A couple of students have attempted stories that include time shifts — pushing the reader back and forth in time as the narrative slowly unfolds. This is not easy to do and doesn’t always work. But just planning that kind of story out requires deep thinking. What foreshadowing do you use? A few stories move from one narrator to another, bouncing back and forth between what we assume are the protagonist and the antagonist, only to discover that our assumptions are wrong. Again, it’s hard to pull this off. One story, about a spy looking for a gadget that turns out to be a mechanical spider which can clone itself, unfolded perfectly, so we felt sympathy for what we think is the antagonist, and then the story turns itself around. In some stories, the narrative point of view suddenly shifts. For example, the writer sets up a character that we see in Third Person and then midway through the story, the words “I” and “we” are inserted and now we are in First Person. I suspect this comes from starting a story one day and then working on it another day. The formatting of dialogue continues to be a struggle for some students. We worked on this a lot in class — with writing prompts, reading examples and looking to novels. I pushed hard because I know they have not been taught this much in the past, and their urge is to write a short story as OneSingleParagraph. Resolving a story is so much more difficult than setting a story into motion. Even with graphic organizers and work on plotting out the plot, you can tell just by reading which students got lost halfway through their story and struggled with how to end it. Even us adults have this problem — an idea sparks, flow and then sputters. I’m off to read another 40 stories. I’ve written before about my co-teacher, and here is another example of how his ideas and my ideas play off each other so nicely. We’re reading Regarding the Fountain by Kate Klise with our co-taught class right now. 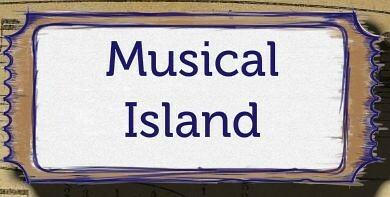 The plot has to do with a fifth grade class doing research on the local history of their town, and uncovering a plot of fishy intrigue. 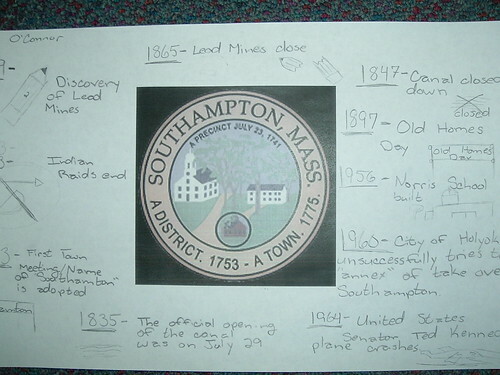 Bob, my co-teacher, thought we should do some research on our own town and then let the kids build a timeline of sorts of local historical episodes. Of course! So, I dug around the town’s website for some information, and Bob found a book that was published in the 1970’s by the town’s Historical Commission. We cobbled together a small packet of information, created a timeline that was missing either dates or information, and then had then work in teams to fill in the timeline. 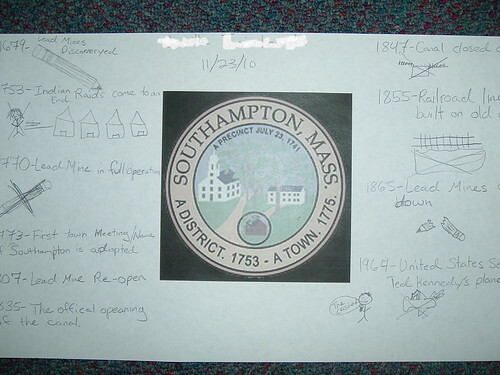 From there, they had to then create a placemat of the history of the town, organized in any way they wanted. Not only were the kids interested in the history of the community, they were fully engaged in all steps of the project, which took about thirty minutes. It was just one of the lessons that comes together collaboratively, and sparks something in the students that is just wonderful to watch. They were learning about history, using information reading for a realistic goal, creating timelines of information and collaborating together. That’s a nice bit of learning going on. Not every lesson is like that, that’s for sure. But this one was. An adjacent city tried to annex the town in the 1960s but failed when the town used its political might to fend off the plot (which led to cheers from the students when we talked about it).